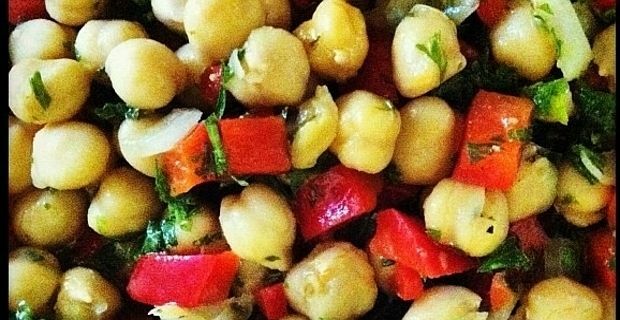 Chickpeas are a highly nutritious and inexpensive source of protein. Their blandness may be off-putting for some but should be regarded as an asset, as they will take on the flavour of the spices and liquids used to cook them. With dried chick peas it is necessary to soak them overnight and cook slowly. Don’t add salt at this stage as it will toughen the skins. Canned chickpeas are ideal for quicker dishes, although test them first as some brands are softer than others. Chickpeas respond well to strong spices. Channa dal is one the most popular vegetarian dishes or street foods in India. Stewed gently with coriander, turmeric, cinnamon, chilli and curry leaves, the chickpeas are garnished with coriander and served on a puri, or flatbread. Garbanzos are a Spanish delicacy, traditionally stewed in a rich stock with tripe. If you are a little squeamish about eating stomach lining (which is an acquired taste), stew with bacon or belly pork instead, adding white cabbage, carrots and root vegetables for a filling winter meal. Falafel is the original Middle Eastern fast food, although a lot healthier. Pulse your chickpeas but not too fine. You want to leave a little crunch. The chickpeas are blended into patties with onions, spices (cumin and coriander are the basic flavourings, but fresh parsley and mint also work) and a little egg yolk and lemon juice. Then shallow fry until browned. The falafel are accompanied by flatbreads, yoghurt and mint dressing and a little chilli sauce. Or a lot, if you like them spicy.